Andy Andrews Interview: Living an Extraordinary Life, Finding Your "Noticer"
Author Andy Andrews’ book The Traveler’s Gift: Seven Decisions that Determine Personal Success is an international sensation, remaining on the New York Times bestseller list for four and a half months and being translated into nearly 20 languages. The Traveler’s Gift is the stunning story of one man’s search for meaning and success in life by traveling back into time and conversing with 7 historic individuals. Other insightful reads by Andrews include Return to Sawyerton Springs, The Heart Mender, The Butterfly Effect, The Boy Who Changed the World, The Final Summit and How Do You Kill 11 Million People? The Alabama native’s latest offering is The Noticer Returns: Sometimes You Find Perspective and Sometimes Perspective Finds You. In this sequel, Andrews again brings to life the character of “Jones” who uses his unique talent of noticing little things that make a big difference that ultimately result in powerfully simple solutions to the everyday problems we all face. Andrews lives in Orange Beach, Alabama, with his wife Polly and their two sons. Melissa Parker (Smashing Interviews Magazine): Andy, so great to talk to you again, my friend. I love the sequel just as much as the first Noticer! Andy Andrews: Oh thank you. I am so glad and really need to spread the word about it because I think it has a lot of value for people. Melissa Parker (Smashing Interviews Magazine): Absolutely. You dedicated the book to Dr. Wil Baker. Tell me about him. 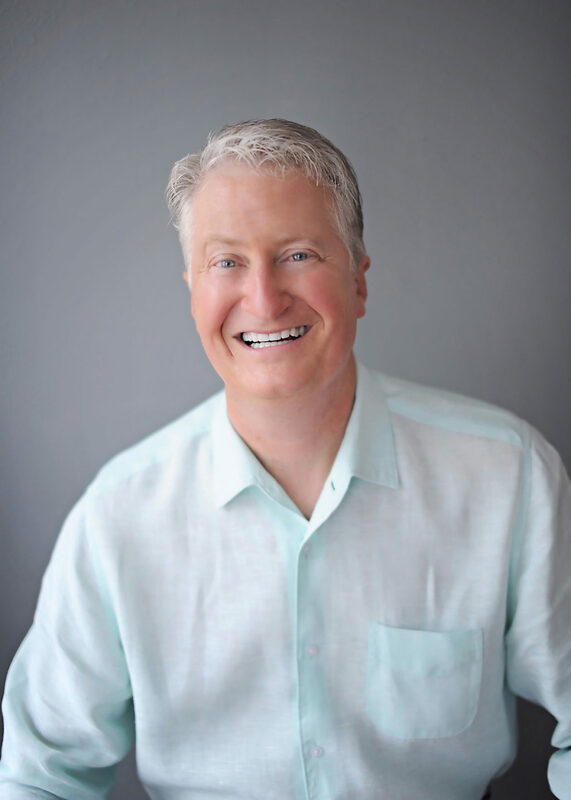 Andy Andrews: Wil Baker is our Sunday school teacher. But that’s kind of like saying, “Michelangelo was painting a house down the street.” Dr. Baker has become just an incredible mentor of mine, of my wife’s and for many people down here in Orange Beach. He’s one of the very few people in my life that I can sit and listen to for hours. He totally stretches my thinking. Melissa Parker (Smashing Interviews Magazine): Let’s talk about what’s fact and what’s fiction. Andy Andrews: (laughs) Do you really want to know that? If you go see David Copperfield, and he takes you backstage and shows you how all of the tricks were done, then it just ain’t that good anymore. Melissa Parker (Smashing Interviews Magazine): I know that in principle (laughs). Andy Andrews: Well, there’s obviously a story element to it. A good bit of it is real too. Christy Haynes is real. This story really took place a couple of years ago, so some of the stuff has played out. It takes a long time to get a book published. As an aside, people ask about writing books and should they be self-published or should they get a traditional publisher. I say, “Well, it’s next to impossible to get a traditional publisher from ground zero. Go ahead and self publish because if you have the thing edited, ready and perfect and exactly how everybody wants it, it would still be a year before it came out.” The point is some of the stuff in the story has played out. You can actually go on beachchicphotography.com, Christy’s site and actually see what’s going on, so that’s pretty cool. Melissa Parker (Smashing Interviews Magazine): How can people find a “noticer,” or how can they recognize one in their own lives? Andy Andrews: I think a lot of what is involved in finding a noticer is to watch people and see what fruit people have on the tree. You examine that life and see if it has the kind of fruit you want to produce in your life. Jones can be a different person for different people according to what somebody wants to do or what they need. I think to find a really effective Jones in your life, you don’t ask that person; you just make yourself valuable in their life. Watch them and just talk to them. We sometimes ask, “Will you be my mentor?” But that starts the relationship in an odd way, and we don’t get as much of the straight scoop as we would like. Melissa Parker (Smashing Interviews Magazine): Why would someone want to live an extraordinary life? There are many responsibilities that go along with that. Andy Andrews: There are lots of responsibilities, but there’s a lot of reward. I would ask, “Why would somebody want to live an average life?” To me, there are more responsibilities, but with responsibility comes great reward, and with great reward comes great responsibility. It’s just hand in hand. What do you want out of life? Do you want to give back? Do you want to do something great? I believe that you were created for something great, and to not use and fulfill that potential is wrong. Melissa Parker (Smashing Interviews Magazine): What do you think Jones would’ve said about the government shutdown? Andy Andrews: I think Jones would’ve gotten a lot deeper than the government shutdown because I think the shutdown was just a symptom. What I would imagine Jones would say to the people who lead our country is that the best is really one thing. You may not have identified it yet, but the best is one thing. It’s not many different things according to where you are or according to what you want, and the best can be determined by principles because principles work every time. We’ve gotten away from principles because we have put more emphasis on compromise than we have what is best. When you put emphasis on compromise rather than on principle, you end up with 2/3 of the principles being implemented. Melissa Parker (Smashing Interviews Magazine): And this can be said of parenting skills also. Andy Andrews: Well, if you’ll remember, our parents told us that half the truth was a lie. If half the truth is a lie, then it just makes sense that 2/3 of a principle would get you nothing. You can’t say, “I’m only going to accept 2/3 of the principle of gravity and then jump off a cliff.” A principle is a principle, and it works 100% every single time. To compromise my principles means that nobody gets what they want. Melissa Parker (Smashing Interviews Magazine): As you write in the book, the parents of the “greatest generation” taught them about morals, ethics and character, and that’s the reason why they were the “greatest generation.” I believe that every parent should read this book. I said, “I deal with companies all over the country with situations where they have to get rid of somebody or can’t believe an executive did something or acted a certain way. Over and over we look at these adult situations. They’re adults, but the things they’re doing and saying should’ve been taken care of when they were eight years old.” So because they weren’t taken care of at the age of eight, now they are society’s problem. We have to figure out how we parent people who were not parented themselves. That can only be done with principles. People only change when two things are present. Just like Jones said, “We manage to think logically to the wrong conclusions.” We think in our society today that the way people change is that they have to have a deep desire to change or that the way they change is they have to hit rock bottom. But neither of those things is true. The way people change is the way we need to parent each other and other adults and kids as well. The two things that have to be there for people to change are, “What’s in it for me?” and there has to be proof beyond a reasonable doubt. I’m not saying, “What’s in it for me?” in a selfish way, just “How does it effect me?” And I’m not saying mathematical proof, just proof beyond a reasonable doubt. When we hear something, we go, “Wow! I never thought of that before. I never thought of that that way before. That makes total sense. I will never think of it any other way again!” That’s proof beyond a reasonable doubt. So when people have something proven to them, and they see that it really benefits them, they don’t have to be looking for a change or be at rock bottom. When they see something proven that is of benefit to them, they’ll turn around 180 degrees and never look back. Melissa Parker (Smashing Interviews Magazine): And you use these principles to raise your two boys? We have to give them a reason. Show them “What’s in it for me?” and proof beyond a reasonable doubt. My 14 year old recently said to me, “I know. I know. I know.” Now my daddy would’ve said, “Don’t talk to me that way! I’m your father. You will respect me. As long as you live in my house, you’ll never talk to me that way again!” Of course, in our minds then we thought, “Okay. Well, I’m not going to be in your house.” But we knew we’d do what he said right then. It’s not for me. It’s for him. It’s not because I said so or you will respect me. Obviously I want that too, but I’m much more likely to have his respect when he knows I’m giving him good information because I have his interest at heart and not my own. Melissa Parker (Smashing Interviews Magazine): Exactly. Good, effective words to remember. Do you and Polly see your teachings being put into practice by your sons? Andy Andrews: Absolutely we do. Our friends share back and forth. We figure out the best practices because what we’re after is like what Jones said, “We’re after results.” We’re not trying to raise good kids. We’re trying to raise kids who become great adults. That’s a very different thing. We all know parents who had kids that when they turned 18 left the house and went nuts. Melissa Parker (Smashing Interviews Magazine): I’m sure those parents looked back and wondered what they could have done differently. Andy, just what is so special about a Kamado Joe grill? Andy Andrews: (laughs) I tell you what. I always put different things in the books. I was going to have this character create this business because I wanted to show people how to create businesses from nothing basically. Jones teaches in the book how to start a business and make it profitable from virtually nothing, just from your passions. So I was going to use a character that grilled. I’ve always been real big on ceramic grills, and I was actually going to use another kind of grill. I was going to use the more popular brand because that’s what I had. So I started writing it and everything and had Baker say some things and kept thinking, “Now, is that true?” I didn’t want to put it in there if it wasn’t true. I just wanted to make sure, so I started doing my research, and Oh Lord, I know more about ceramic grills that you ever want to know. I found out there are 15 companies in America marketing these ceramic grills. One of them is obviously way ahead of everyone else. But then, I started reading and started checking and went to a store nearby in Orange Beach that has both of them. I went and looked, and man, there are at least 12 different things on that Kamado Joe that are better than that better known product, and they cost about the same. So I thought, “Well crud.” So I changed it, and I called them when the book was coming out, and said, “Hey, you’re in the book!” They’re like, “What?” Then I ended up getting one … actually two. I gave one to my business manager in Nashville. I love it. I called the company and said, “I really, really like this thing!” I sent them a book, and they put the book on their website. Melissa Parker (Smashing Interviews Magazine): Very cool. You speak of writer’s block in the book. How do you shake the cobwebs off when you find yourself in that situation? Andy Andrews: It’s weird because it wasn’t really writer’s block. I knew what I wanted to say; I just didn’t have a story. But what I usually do is read. I read and do research. A lot of times I’ll walk, so I can think and try to figure out how to do this or that. I try to find some little angle. This was not the easiest book I ever wrote obviously, and it seems funny to me … I’m amazed that really ended up being the story. Melissa Parker (Smashing Interviews Magazine): You never intended on writing a sequel to the first Noticer? Andy Andrews: No. I never had an intention on it until several things happened, and those things became very available to me to learn. I always want to teach things that help people with their personal lives, their financial lives and their legacies, so this was a huge thing for me. Melissa Parker (Smashing Interviews Magazine): Next subject for a book? Andy Andrews: I’m really sort of in the same position I was before in that I already kind of know what I want to teach and help people with, but I’m not really sure how I’m going to deliver it yet.